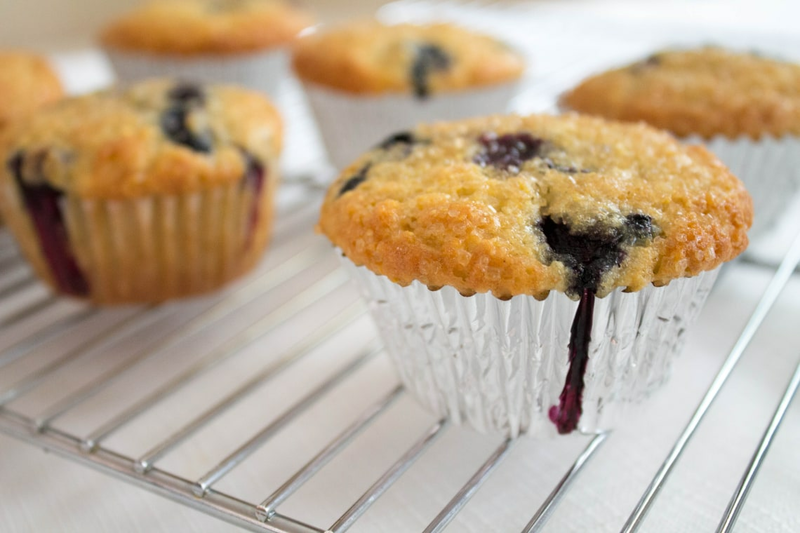 Blueberry corn muffins always make us think of a charming bed and breakfast somewhere in New England, where you get woken up gently in the morning by the smell of freshly baked goods and the sound of birds chirping. This easy recipe for blueberry corn muffins can evoke that feeling, right in your own home. They're full of plump blueberries and a pleasantly toothsome texture from cornmeal. These muffins are perfect in the morning with a cup of coffee or as an afternoon snack with tea. If you have muffins that dry out later in the week, split them in half and griddle them cut side down with sweet butter. You can make your own muffin mix in advance by combining the dry ingredients ahead of time and storing them away in a container. Then all you have to do is stir in the wet ingredients and you're good to go. This would also make a sweet gift for someone along with the instructions on a recipe card. Per Serving: 259 calories; 13g fat; 32.9g carbohydrates; 4g protein; 26mg cholesterol; 445mg sodium. 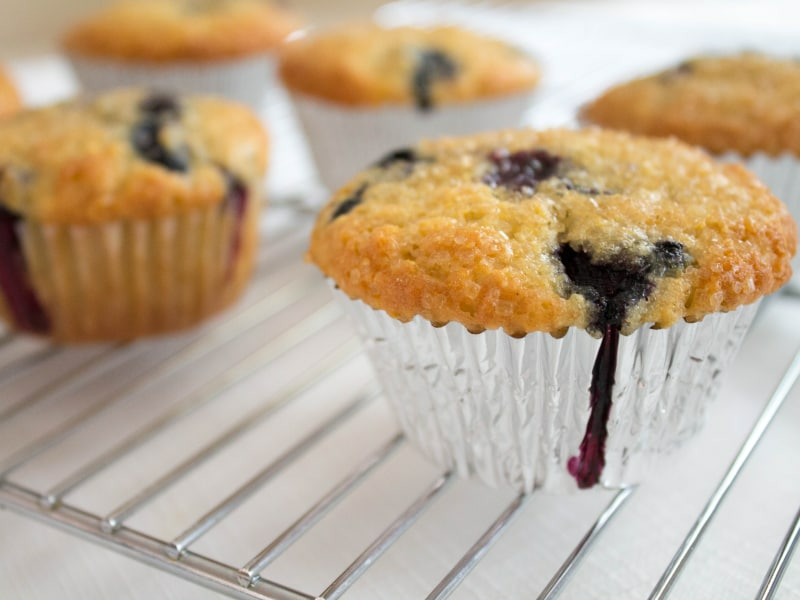 Really delicious, sweet blueberry corn muffins. I made a batch ahead of time and take them with me in the morning for breakfast on the go. It goes great with my morning coffee and keeps me satisfied until mid morning. This is a must try for all blueberry muffin lovers! This corn muffins were better than I expected. Definitely a mix between corn bread and blueberry muffins. I like to add sugar in the raw on top and eat in the morning for breakfast.